Have fun with the family as you announce that you're expecting. 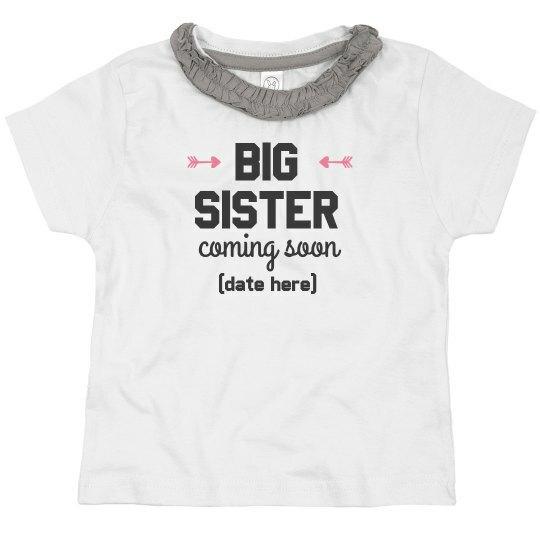 Customize this Big Sister design to the date you are due, then have your future big sis wear it for the family party. She will be sure to love the girly ruffle collar, so personalize one today!